San Francisco is one of the great cities of America with endless things to see and do. Of course, the Golden Gate Bridge is iconic, but the beautiful bay, the wonderful Victorian houses, cable cars, winding Lombard Street, the Marina and Fishermen’s Wharf, the Ferry Building Farmers Market, and Coit Tower are all landmarks on most tourists’ check lists. 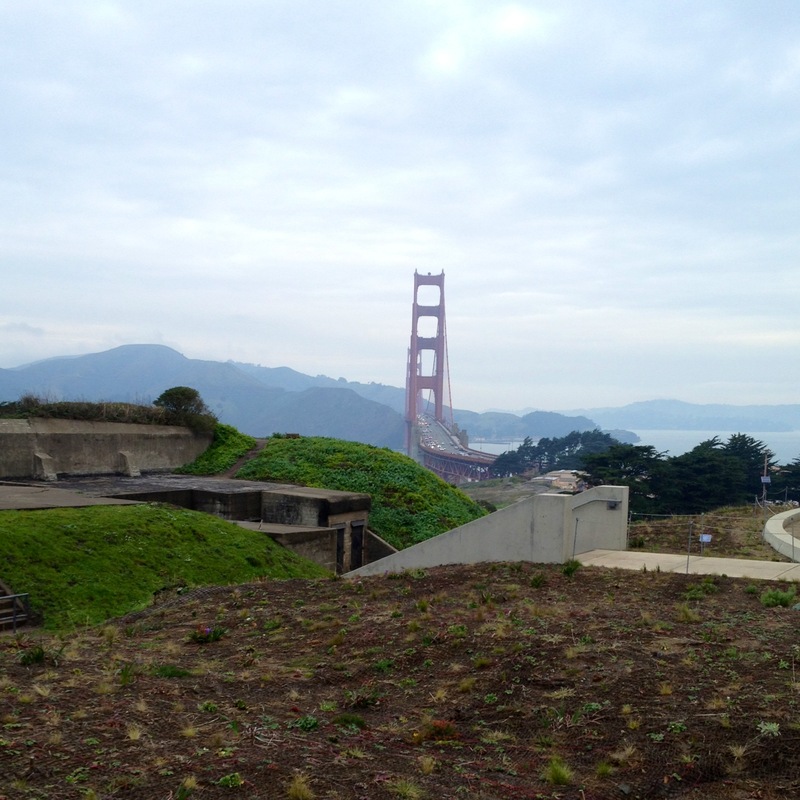 Often the Presidio gets overlooked, and that’s too bad because it is one of the real treasures of the Bay Area. The Spanish established presidios (military garrisons) to protect their territories as they moved further and further into what eventually became the American Southwest. Their advance into California was relatively late, and San Francisco Bay was not discovered until 1774. 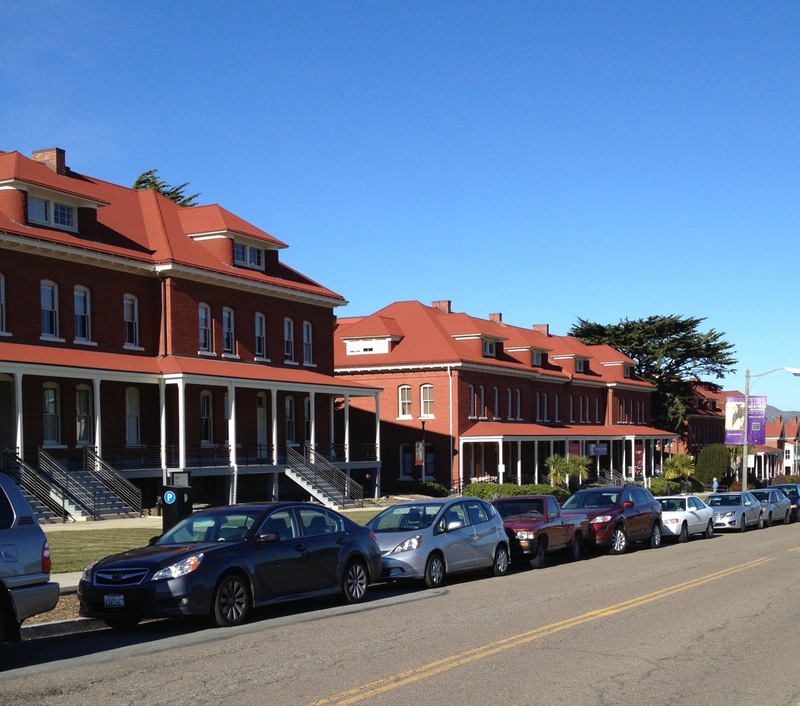 The Presidio at San Francisco was established in 1776 to protect what was then called La Boca del Puerto de San Francisco – the Mouth of the Port of San Francisco – a name that continued until the 1840s. In 1846, the straits between the Marin Headlands and Land’s End on the San Francisco side were renamed by the famous explorer, John C. Fremont, who said they had the same importance as the Golden Horn in the Bosporus. The renaming occurred two years before the discovery of gold at Sutter’s Mill. I guess Fremont knew what he was talking about. 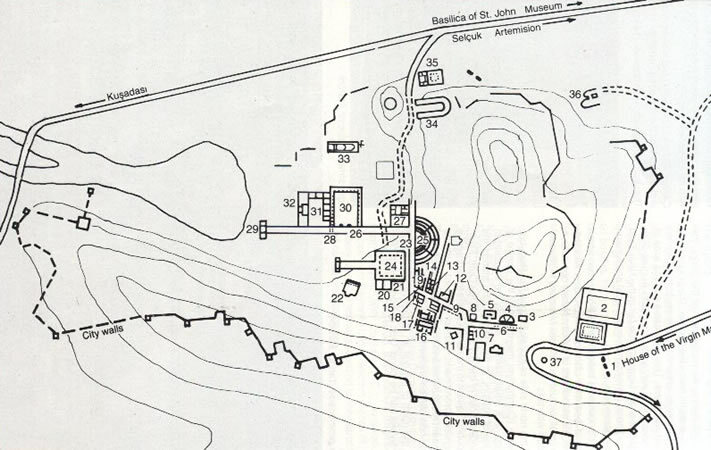 The Spanish also established a small pueblo named Yerba Buena to support the presidio. The little town was in the area now known as the Mission District where the Mission Dolores still stands. These were the beginnings of today’s modern San Francisco. The garrison was a constantly occupied military base for over 200 years, under the jurisdiction of Spain, Mexico, and then the US, until it was decommissioned in 1995. At that time, the Presidio was turned over to the US National Park Service with the charge to develop the facility as if it were a national park but with the requirement that, unlike a park, it must generate enough revenues to make it self-sustaining. That charge has been taken seriously. Military housing has been converted into apartments and beautiful residences which are well-maintained, highly desired, and often available only after spending time on a waiting list. Barracks and the world-famous Letterman General Hospital have been converted into office buildings, museums, and workshops for such companies as Disney and George Lucas Productions. There are public golf courses, abundant hiking trails, campgrounds, and beaches open year-around to the public. Scenery is spectacular. 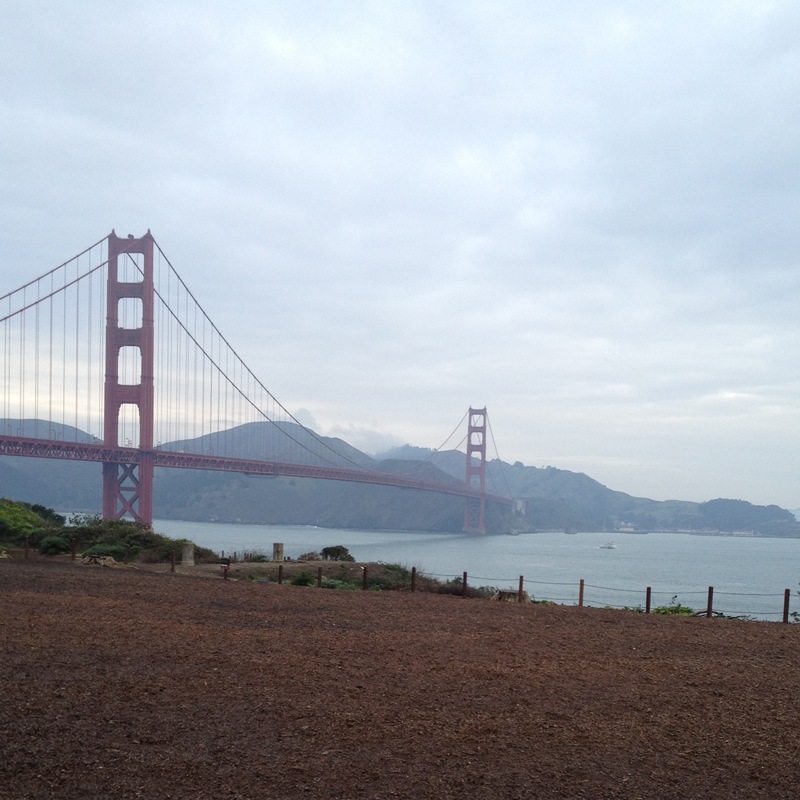 The famous Golden Gate Bridge has its southern access from the headlands in the Presidio. The view to Land’s End, with crashing surf, rugged rock outcroppings, is a gorgeous part of the walk along the ridge leading down to Baker Beach. There are hawks, hummingbirds, many other bird species, coyotes, and smaller mammals. Chances are pretty good that you can catch a glimpse of at least one of these creatures. Flowering plants, towering trees including the beautiful but invasive eucalyptus, and plenty of herbs fill the woods along the trails. The Park Service has not ignored the stomach. There are several restaurants and more in the process of development. The Presidio Social Club may be the most popular, because it is close to the Walt Disney and George Lucas facilities and is a popular place for business lunches. Still, it is large enough that you may not need to wait too long for a table. The restaurant is actually housed in a converted barracks that once served the famous African-American “Buffalo Soldiers” who played such an important role in opening up the American West. The Social Club serves both lunch and dinner. The menu is not large, but you should be able to find something to suit your fancy. For a recent lunch, I got a grilled meatloaf sandwich with melted Gruyère cheese. The sandwich came perfectly grilled on real pain de mie, not white sandwich bread. The meatloaf was juicy and cut to just the right thickness. Gruyère cheese and Dijon mustard set it off to a T. The side salad of baby greens was dressed exactly as it should be with enough vinaigrette to flavor the lettuce but not so much as to be cloying. Susan got the Dungeness crab Louie salad which came with mollet eggs in a very large serving with lots of fresh crab. The only downside was that there were several shells that had been missed when the crab was picked over. Sarah says that to avoid that unforgivable restaurant sin, Rich Table uses a black light which causes bits of shell to glow a bright blue – who would have thought! For dessert we split an order of brioche beignets served with creme anglaise. There are actually four beignets to an order, but they looked so good that we dived in before I took the picture. The wine list was small but well-chosen, and the prices were reasonable. Service was excellent, and the surroundings were attractive and historic. The restaurant is a keeper, especially if you take my advice and make a day of visiting the Presidio. One of the highlights of our recent visit to the Mediterranean was the ruins of Ephesus in Turkey. Our ship docked in the nearby port of Kusadasi (Bird Island) which is named after the island, now called Pigeon Island, which dominates the harbor. The island is crowned by an ancient Byzantine fortress which has been rebuilt several times over the centuries and is still a commanding presence. The island has restaurants and entertainment centers and is connected to the mainland by an ornate causeway. At night the lights along the causeway and on the fortress battlements create a stunning view. Ephesus is not far away on a modern highway and is only a little over a mile from the modern Turkish city of Selçuk, population 36,000. . Ephesus dates back thousands of years and was one of the twelve cities of the Ionian League during the seventh century BCE. One of the seven wonders of the ancient world, the Temple of Artemis, was located nearby. Ephesus was a center of Greek culture until the second century BCE when it became a part of the Roman Empire. At its height, the city had between 250,000 and 500,000 inhabitants and was one of the largest cities in the entire empire. Later, it was an important city of the Byzantine Empire. Its dominance was because it was a center of trade, related to its harbor. Over the years and in spite of dredging efforts, the port and the river silted up, and Ephesus became landlocked. Earthquakes and Arab raids also contributed to the decline of the city, and it was abandoned in the eighth century. Ephesus was important in early Christian activities. Because of its size and importance, there were early missionary activities there. In the Book of Acts in the New Testament, there is a story of Paul arriving to preach in the massive open-air theater. He was discouraged from doing so by friends who worried for his safety. One of Paul’s’ letters, “Epistle to the Ephesians”, was addressed to the Christian community in Ephesus. Tradition has it that Saint John was imprisoned here and that Jesus’s mother Mary lived out her final days in a house a bit removed from the city. Ephesus was clearly a wealthy city. The ruins, including baths, gymnasia, temples, theaters, and enormous residences all bear that out. The Library of Celsus is beautifully restored and preserved. In its day it served as a mausoleum for a prominent Roman as well as a library with many scrolls. Terrace homes of wealthy residents line one side of the main thoroughfare, Curetes Street. The houses were at their peak from about 100 to 700 CE at around the time of abandonment of the city. The rooms filled with dirt resulting in remarkable preservation comparable to that in Pompeii and Herculaneum. Still under excavation, the homes reveal elaborate mosaic floors, ornate wall decorations, and marble doors, walls, and pools. The enormous theater, seating 35,000 has been amazingly well-preserved as have the agoras (gathering places) with their arcades and shops, public latrines, a brothel, and numerous public buildings. Of course the marble streets are filled with tourists, and you could easily spend much more time than that alloted in the usual tours. Even with all that, though, it is a place well worth visiting. This is a traditional sweet that was invented by a famous Turkish cook in the 1700’s. It is soft, sweet, dusted in sugar, and usually flavored with rosewater. Supposedly lokum or Turkish delight is offered to guests with coffee, but you will see it everywhere, boxed up for purchase from street vendors or small shops. There are many recipes for lokum on the internet. In general, they fall into three categories depending upon what is used as a firming agent. Some use cornstarch; some use gelatin; and some use pectin. 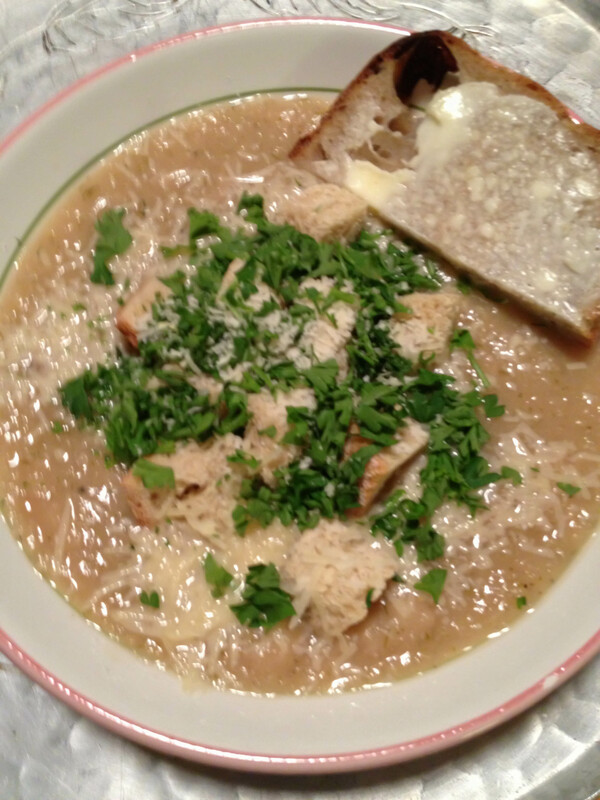 This recipe is derived from one published in the Joy of Cooking as late as 1975. Subsequently the recipe disappeared from the index of the cook book, I think because the candy may turn into a sticky mess if you are not careful. I have made the recipe several times over the years, and this is by far the most successful version. You need to make sure the pan and waxed paper are well-greased or you will never get the candy out of the bottom of the pan. Actually, I had to throw away the pan the first time I tried making Turkish delight. You also need to make sure that you cook the sugar mixture at least to the soft ball stage or it will not get firm enough. My very strong advice is that you should travel to Turkey and buy your supply of Turkish delight from a street vendor. Failing that, go to your local Middle Eastern market. Prepare an 8 x 8 inch baking pan: grease well with butter, line with two buttered sheets of waxed paper arranged crosswise and overhanging the rim of the pan. Set aside. Combine the water, pectin, and baking soda in a heavy 2 quart sauce pan. The mixture will expand and foam. In a second saucepan, combine the corn syrup and sugar. Bring the corn syrup and sugar mixture to the boil and heat to the soft ball stage, 240° F. Check with a candy thermometer. Then bring the pectin and baking soda to the boil over another flame. Stir until foaming subsides. Gradually pour the pectin mixture into the sugar mixture, stirring continuously. Remove from the heat, stir in the lemon juice and pistachio nuts. Pour into the prepared pan and let cool at room temperature for at least 3 hours or preferably over night. During our recent visits from children, one of the big food hits was making Danish ebelskivers (ebleskivers, æbelskivers, æbleskivers – lots of alternative spellings) with the grandchildren. I took down the heavy cast iron pan hanging on a nail in the garage, cleaned it up, and got it ready for the process. After many years, the pan was in great shape for a ritual that our kids remembered with fondness from their own childhood. Honestly, the procedure is more fun than the finished product, but the little, round pastries are delicious, with a little hollow just begging to be filled with jam or jelly. Cast iron cooking tools are, by design, heavy. That’s the whole point – to hold the heat and make it consistent so that cooking or baking is even for whatever is inside . Any cast iron implement will rust if you don’t take proper care of it. Heating it to dry over an open flame after you wash it (If you need to) and sealing the surface with a thin coating of cooking oil before you put it away will prevent rust. I have 5 cast iron skillets along with a three-legged spider, the combo pan for my Tartine bread and several cornstick pans. None of them is rusted because of that approach. Can’t help with the cooking surface. If you choose infra-red or inductive cooking surfaces for their looks, you just have to deal with your cooking options. You don’t need an expensive turning tool. A disposable wooden skewer or metal skewer will work. The only concern there is that especially the metal skewer could scratch and ruin any non-stick coating. If you can get past all of these concerns, you can actually have fun with kids making this special breakfast treat. You can also test your creative streak for party appetizers – ball-shaped blini with a dollop of red caviar, grown-up-suitable fillings, batters made with different flours like spelt, whole wheat, or cornmeal. Just lighten up a bit and have a good time. The only other instructions that are important before you start are to heat the pan until it is evenly hot and the right temperature. Medium heat will probably work. Too hot and the ebelskivers will burn on the outside before they are done; too cool and the ebelskivers will never get the golden brown color you are looking for. Before each batch, use a paper towel soaked with vegetable oil to wipe each cup before refilling. Beat together the egg yolks and sugar until they form a ribbon. Then stir in the buttermilk to form a smooth batter. Stir together the dry ingredients, flour, baking powder, baking soda, and salt. Then stir into the batter and mix thoroughly. Fold the stiff egg whites into the batter by thirds. Do this gently so that you have a light batter. In the meantime, heat the ebelskiver pan over a medium flame. Oil each cup generously with a paper towel dipped in vegetable oil. After about 20 or 30 seconds turn each ebelskiver a half turn using a wooden or metal skewer. Uncooked batter should run down into the cup. Repeat the process by half turns until you form a baked balls that are golden brown, plump, and hollow with just a tiny opening on one side. Adjust the heat so that the ebelskivers are finished baking in about 1 minute, neither too dark nor too light. Remove to a serving plate and serve along with your choices of powdered sugar, honey, maple syrup, butter, jelly, jam, or whatever comes to mind. Repeat the process until all the batter is used up. The recipe should make at least 5 to 6 batches.